Turtle Bridge is a free game available on the iPhone, iPad, and iPod touch. It is developed by 3Leap Games Ltd., and appears to be the company’s first app release. First app or not, it doesn’t matter, this game looks really great and might as well have been released by a developing company. Turtle Bridge is fast-paced and extremely addicting. To play, you must help a turtle named Swampy cross a bridge. However, the bridge is not finished. 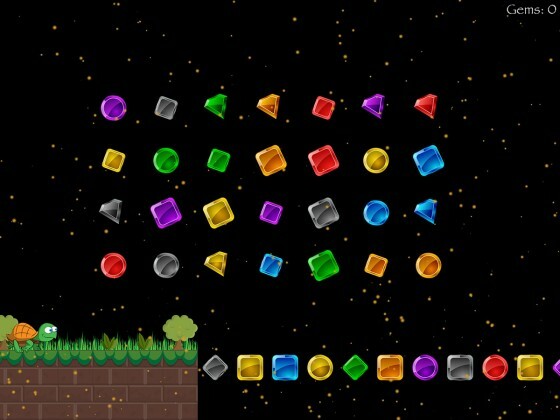 To add extra parts to the bridge, so that Swampy doesn’t fall while crossing it, you have to tap on the gems above him that match the upcoming bridge part (as seen above). Once you tap the upcoming gem, then the bridge part will be added. 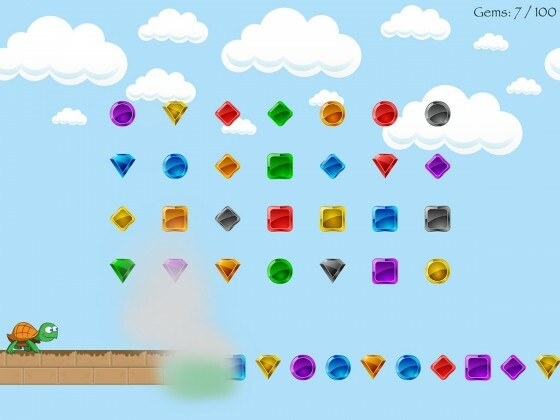 For Swampy to completely cross the bridge, you have to match exactly 100 gems. If you don’t keep up with Swampy he will walk over the edge and the game will end! 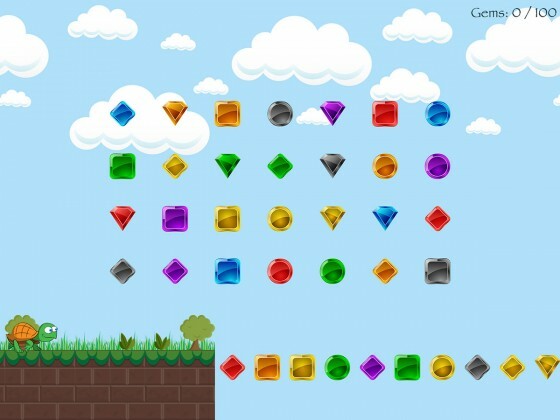 The free version of the game comes with two levels, The Crossing and Gem Rush. If you want the third level, Night Out, you’ll have to purchase it for $.99. 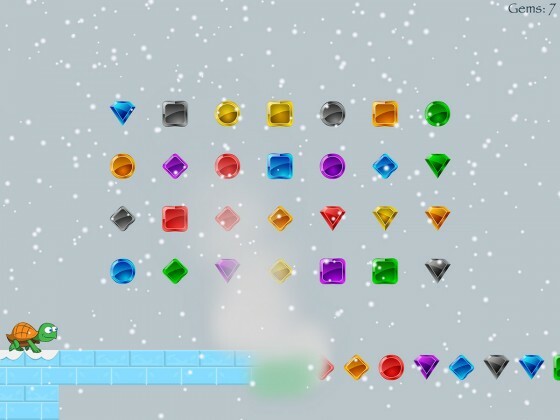 Ads are also removed once you purchase this level. In addition to being able to play each level as many times as you want, to keep get Swampy further and further down the bridge, you can also look at your Leaderboard standing in Game Center and challenge friends to beat your record. Overall this is a really great game, and its 4 1/2 star rating is proof of that. Give it a try because you won’t regret it. As long as you like puzzle games or reflex games, you’ll love Turtle Bridge.